We offer fully customized web development service based on the client’s requirements and their business goals. We make the right use of modern technologies like PHP, Ajax, Flash, Flex etc. and high quality of creativity. We develop custom web applications which not only establish easy and effective interaction with your customers but also make you one of the industry leaders. Twarak Infotech programmers carry an ever expanding portfolio of technical abilities and proficiency which encompasses all the latest Internet development technologies, meeting an ever growing need of our clients. Our vast experience enables us to understand complex business logic and develop innovative web development solutions for it. Web Development is done using technologies like AJAX, JQuery etc. For better interaction, usability and for increasing speed, we use asynchronous data transfer between the server and the client. Our team is capable of creating widgets, social networking websites, blogs, wikis and Intranets using web 2.0 development methodologies and corresponding server implementations using server side languages like PHP, Ruby on Rails. 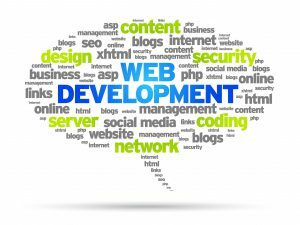 Our highly skilled team of professionals can offer you web 2.0 development services that you would have never experiences before. Rich Internet application techniques, often Ajax-based, Adobe Flash etc that can improve the user-experience in browser-based applications. Copyright © 2018 Twarak Infotech Pvt Ltd. All Rights Reserved.